Serenity Now: Last Day for *Blessings Unlimited* Giveaway! If you haven't had a chance to enter the Blessings Unlimited Giveaway from my shop yet, please stop by and check it out! 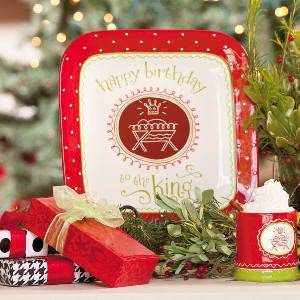 I'm giving away one Happy Birthday to the King platter, and the post closes out at 10 pm (ET) tonight. You can earn an extra entry by linking up (a valid link!) to this weekend's Weekend Bloggy Reading party.